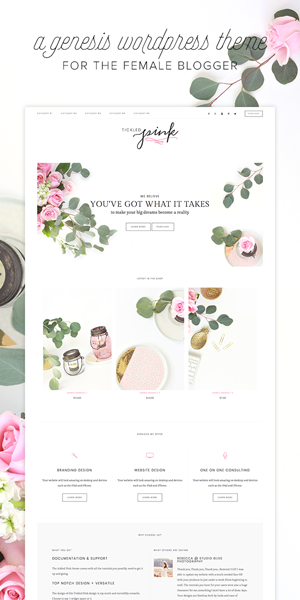 These gorgeous themes are suitable for any online entrepreneur no matter what your niche. All of these themes require Genesis Framework and a self-hosted Wordpress.org site. (If you haven’t got a self-hosted website and are looking to start a blog, check out my 4 easy steps here). The themes I have selected are designed by Restored 316 and they all use the Genesis Framework (and for good reason. See Why Genesis is the Foundation of Any Smart WordPress Design) The Genesis Framework is a powerful tool for SEO (Search Engine Optimization) and features Airtight Security. Now, let’s get stuck into it. 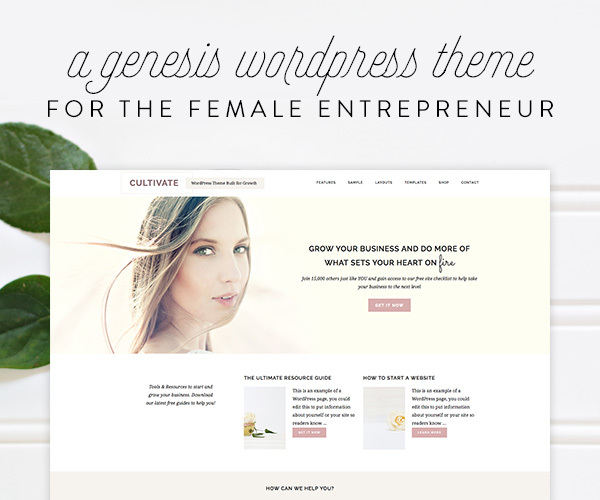 Here are the five stunning feminine WordPress themes you will love. This theme enables Woo Commerce if you plan to sell products from your website. You can customize the colours of your blog to your liking. Automatic plugin installation, which means all the necessary plugins will be ready to go as soon as you download this theme. All you need to do is click Activate. Includes a Pinterest Pin It graphic which also allows you to edit its colours and text to fit your brand. You get 6 free stunning stock images which you can use on your site or social media. We all love to pin and use quality stock images for a clickable pin (and to boost traffic), so this feature comes in super handy. Click on the photo below to check out the demo for the Cultivate Theme. Allows you to easily upload your own logo. Responsive design which means one less plugin to download. Your website will fit every screen from desktop to tablet. Want a cheaper theme that looks just as good? Try the Beautiful Pro Theme by StudioPress. 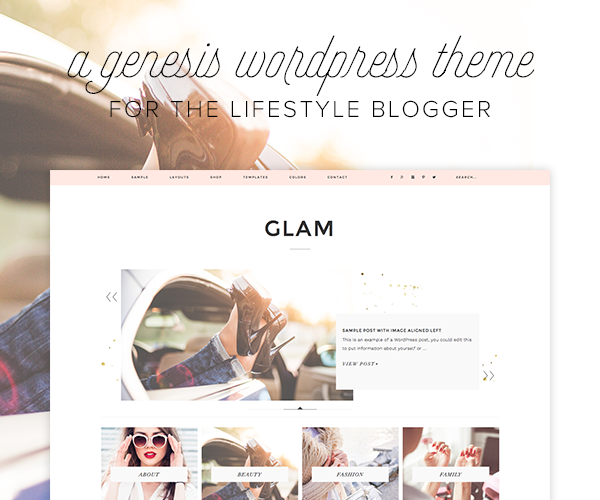 Click on the photo below to check out the demo for the Glam Theme. It automatically allows several relevant plugins including Simple Social Icons, Simply Instagram, and Genesis Responsive Slider. 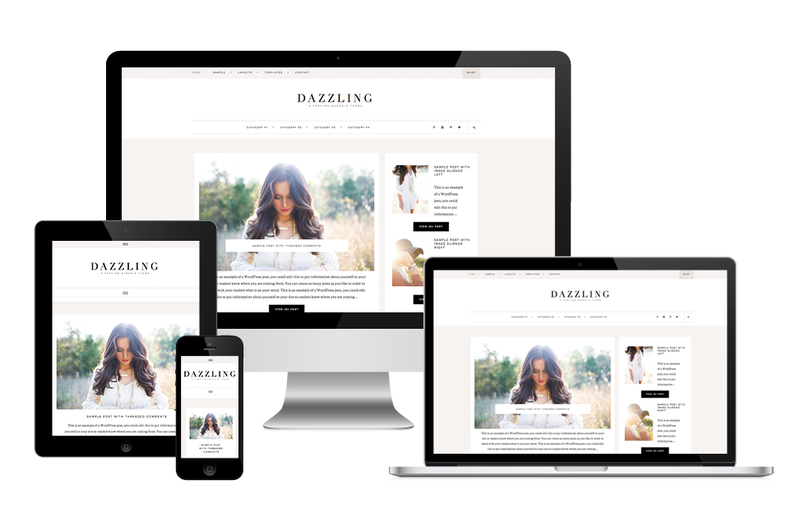 Click on the photo below to check out the demo for the Dazzling Theme. 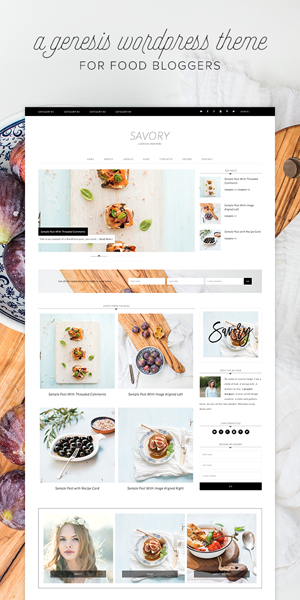 Click on the photo below to check out the demo for the Savory Theme. Click on the photo below to check out the demo for the Tickled Pink Theme. And that’s a wrap. Your turn. What are your favorite themes?